The Bowie Baysox have announced an opportunity for one lucky child to Trick or Treat with Louie on Halloween Night Wednesday, October 31. The contest is already underway and entries will be accepted until noon Friday, October 26. Louie loves Halloween candy and can’t wait to see some of the scary costumes his friends will be wearing around the neighborhood that night. To enter the Trick or Treat with Louie contest, parents or guardians must visit www.baysoxshop.com and fill out an entry form. Each entry is $5 with proceeds benefitting Louie’s Holiday Hope Project, which helps families in need during the holiday season. Parents may enter their children into the contest as many times as they want and each entry costs an additional $5. The winner will be notified Friday, October 26. Louie will arrive at the winner’s house in the “Louie” van and will go out Trick or Treating with the winning child, their family and friends for approximately 45 minutes. He will also bring the winner a special Baysox Trick or Treat Prize Package to help kick off Halloween Night. Louie’s Holiday Hope Project has been in operation since 2007 and has helped dozens of local families and over 100 local children. During the holiday season, Louie and Baysox employees surprise select families and drop off gifts, food baskets, clothing and gift certificates to their homes. Baysox Baseball – We’ll Knock Your ‘Sox Off. The Baysox 20th season has come to an end. The Baysox open the 2013 season on the road and play their first game at Prince George’s Stadium Thursday, April 11. 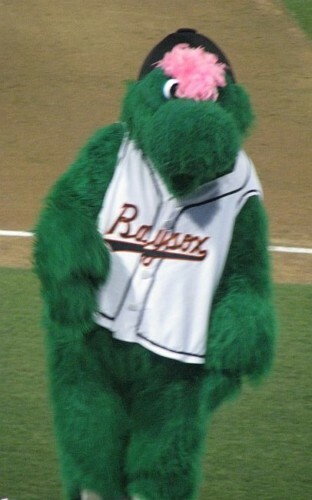 To keep up with Baysox news during the offseason, visit www.baysox.com.